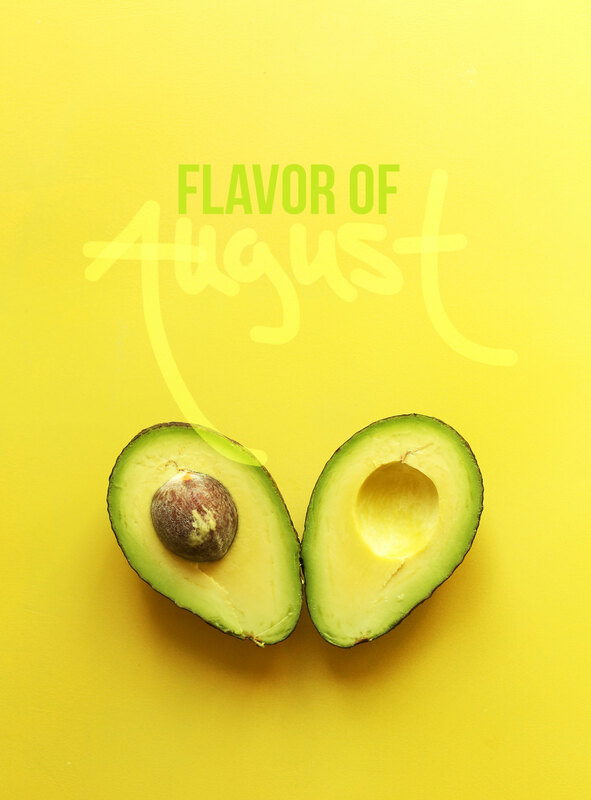 I don’t know whether to be excited that August is greeting us with a heat wave, or mourn the fact that my birthday month is over (boo) and I’m left figuring out how a 30 year old behaves on the internet. Stay tuned to see this granny navigate the blogosphere as a no-longer 20-year old. Should be neat! Should be hip! Should be…what do the kids say, these days? HundredP? I dunno. I give up. Please like me? Onto the end of month recap, starting with eats! Whoa. Things got delicious in July. Which recipe was your favorite? To be honest, the Classic Falafel and Tahini Bombs stole my heart. So good! Wear – I have literally worn this shirt on my body every day in July. OK, maybe there were days where I washed it, but then I put it right back on my body once it was clean (otherwise, ew). 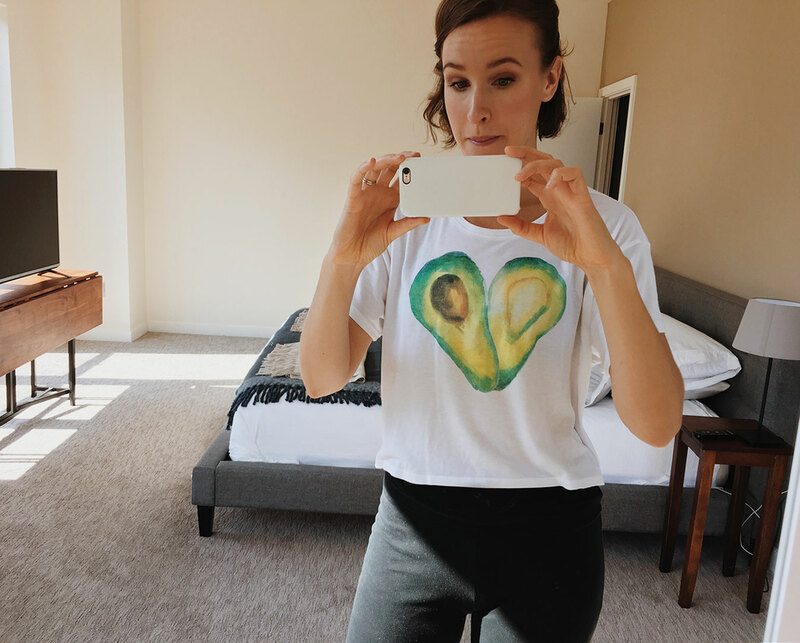 Go support my pal McKel of Nutrition Stripped and sport an avo crop top with me! Iz gonna be so great. Read – I’ve been a slacker in the book department because when life gets busy, I don’t read. However, one book that has been on in the background is Michael Pollan’s The Omnivore’s Dilemma. I feel like it’s in the category of “if you’re at all interested in food, you have to read this book.” I don’t know if I would agree with that, but it has furthered my knowledge of the history of food in America and where I fit into that picture. Book recommendations welcome! I’m currently on the library wait list for When Breath Becomes Air and Eat Dirt. So excited. 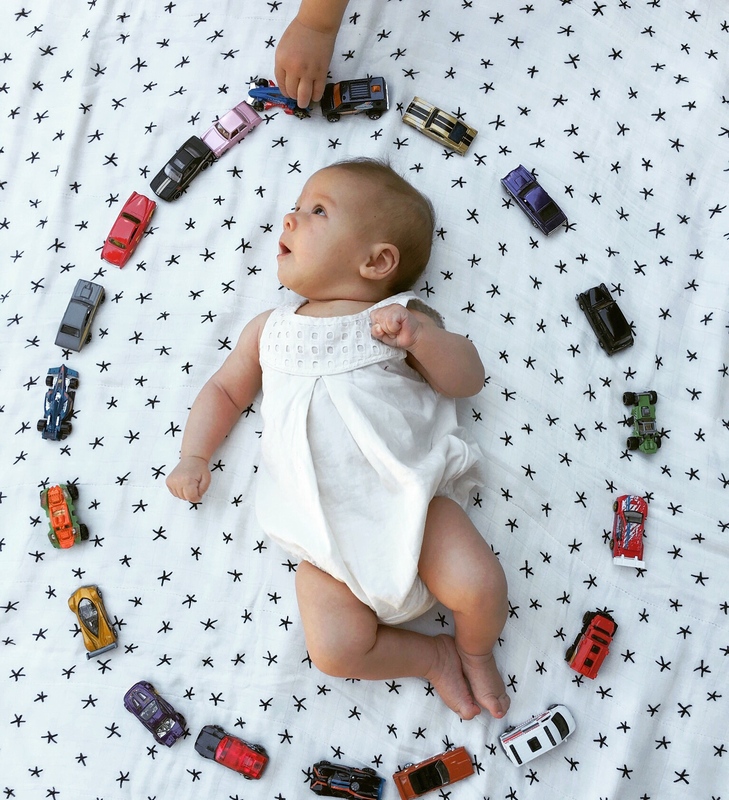 Follow – An Instagram account I’ve been loving this month has been my pal @thelittlethingswedo because she just has her third baby (pictured below) and I’m in serious stalker mode. Go check her out as well as her three little ones. Yes, three. The woman is a saint. Another new-to-me crush is @heartbeetkitchen! How gorgeous and inventive, amiright? That vegan ice cream video has me all heart eyes emoji. Watch – I watched the documentary True Cost (on Netflix) this month and was deeply saddened and immediately re-evaluated all of my shopping habits. It’s an incredibly eye opening look into the fashion industry and how fashion fashion has affected our culture and the people who make our clothing. This is a must see. Listen – As if there were another song to choose? One Dance by Drake has been on repeat in our house. I dance to it every time. Can’t stop won’t stop. Play – I randomly picked up this 7-in-1 colored pencil at a boutique in Kansas City and it’s been rocking my world ever since. To-do lists have never been so fun. Meet – We’re into meeting you guys recently and are putting on our third cookbook event this Thursday, August 4th in Vancouver B.C. Are you in the area? Come meet us! The cooking demo is sold out, but the cookbook signing is at 6:30 pm and open/free to all! Be sure to check out our Events page to see if we’re coming to a city near you. We’re adding more all the time. In August, I’m sharing some of my go-to, everyday recipes that are super simple, utilize seasonal produce, and require as little cooking as possible. Also, they’re insanely delicious. Be stoked! See you back soon for another recipe, friends! Love you recipes.. simple and yum! ROCK ON with that avocado shirt! Love healthy foodie merchandise :) and I definitely want to try your sunflower seed butter recipe! It looks to die for on that slice of toast! Hey, Dana! The bonus recipe for the chocolate pudding was terrific! Also—I made the fesenjan (with chickpeas)–so easy and delicious. The Persian restaurants here don’t have many vegan options and they are so expensive. So—thanks and thanks. Did you see that you got into Fox News Magazine for the peppermint patties. Fox News isn’t my thing—but at least they had the good sense to like your recipe! Okay, political rant over—I’d rather concentrate on your recipes! 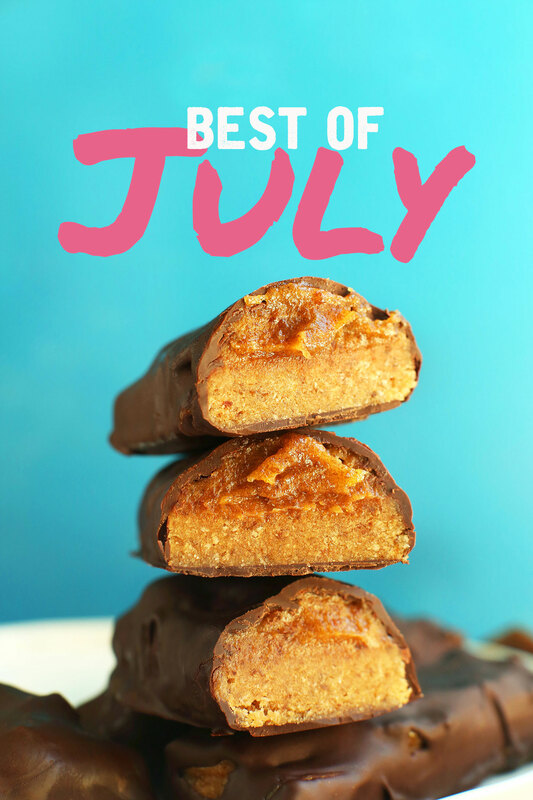 Loved the vegan Milky Way! ? Such a cute top! Love it. Also, how does a 30-year old behave on the internet? However she likes ;) Hahah Love your blog, thank you for all the amazing recipes, and Happy Belated Birthday! Hello :) I hope it’s okay that I post my question about the monthly recipe “Vegan Chocolate Protein Pudding” I have just received on here – could you tell me if it’s possible to just replace the black beans with kidney or white beans ? Thx for the documentary recommendation. I recommend a beautiful movie, Hungarian production, it’s on Netflix. White God. It’s an incredible movie. Books by Irvin Yalom; by Jo Nesbo; Thera by Zreuya Shalev. Lovely! Thanks for the recs! I think I loved the chickpea salad the most. Thanks so much for all the recipes. And I also wore the same shirt (not nearly as cool) pretty much every day in July ironically. But that is one of the great things about summer– not caring about the little things like what to wear that day. You’re so like-able/loveable! I think kids today would say that your recipes are on fleek? Not that that is a particularly appetizing word.. dinner is already planned tonight but I can’t wait to try some vegan pulled pork for lunch tomorrow! And I think I will have my mom make me lime bars when she comes to visit next week as a belated birthday treat! Hope yours was happy ? We also watched True Cost last winter and I was in tears mid way through. It was extremely eye opening and quite frankly a real shock to the system. Such an important documentary for all of us to see. The fact that it brought me to tears is enough to prove that some big changes need to be made. Looking forward to all the goodies you’ll have in store for us this month! So glad you’ve seen it, too. It’s SUCH an important film for everyone to watch. In other news, HAPPY ALMOST BIRTHDAY! I can’t stop playing One Dance either!!! The only problem with it? Not long enough. Hi Dana! I am such a fan of yours, and I spent this weekend bragging to some other vegetarian friends about how delicious and easy your recipes are! I am always one for book recommendations, so along the lines of Omnivore’s Dilemma, I highly recommend Eating on the Wild Side by Jo Robinson. She writes about the history of mass farming and how it has changed the nutritional content of our favorite produce. Then each chapter includes tips for getting the healthiest fruits and veggies– at the grocer, the farmer’s market, or from your own garden. It was such an enjoyable read that piqued my scientific and meal-planner mind! I’ve loved all of your recipes this month! Especially your vegan pulled pork! I’m a recently married doctoral student with little time and your recipes have saved my life trying to cook for my husband. He usually hates vegan food but he has so far loved all of the recipes of yours I’ve made him. Thank you for simplifying my time in the kitchen!